Light blue scarf with red border. 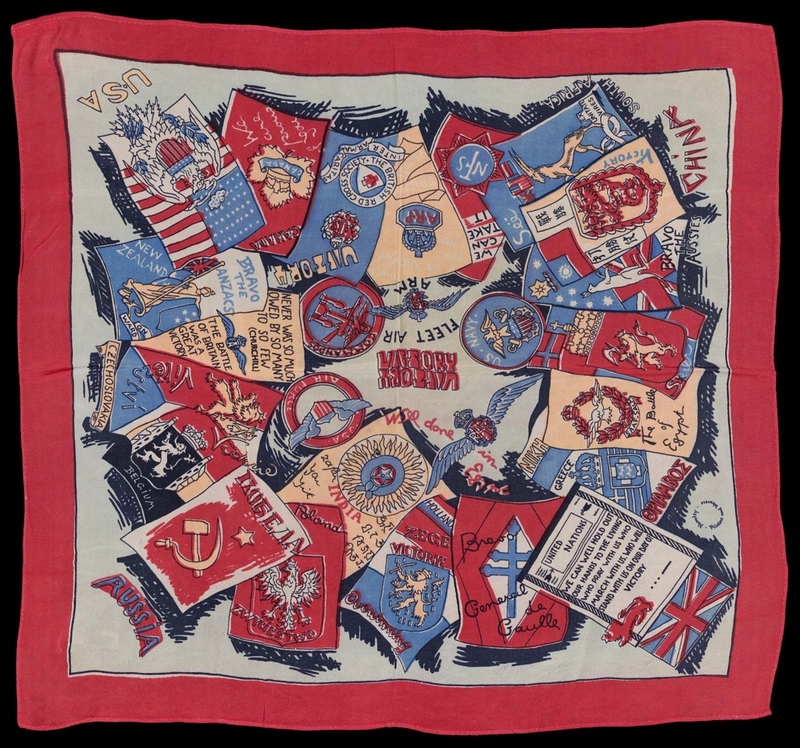 Flags, crests, war-related slogans and military symbols on scarf in mostly red and royal blue. Word “VICTORY” repeated, corners have “RUSSIA,” “CHINA,” and “USA” written in block lettering.